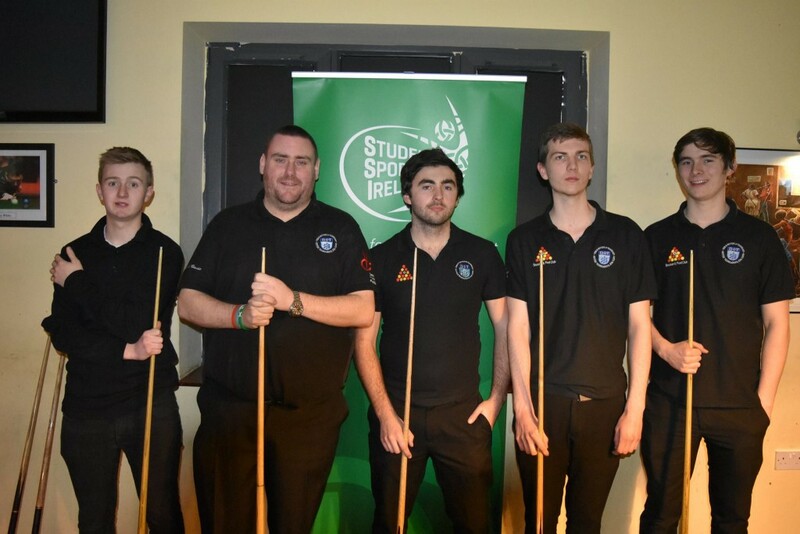 Institute of Technology Carlow retained the Student Sport Ireland Pool League title with a very good performance to see off Dublin IT in an exciting final in D15 Cue Sport Academy in Mulhuddart recently. In the semi-final IT Carlow defeated National College of Ireland, meanwhile Dublin IT were 14-6 winners over NUI Galway. IT Carlow took a commanding early lead in the final and were 5-0 up after the first session with Martin Dunne, Wayne Brennan, Jeff Ratledge, Morgan Thomas and David Grace all winning their first match. IT Carlow were 9-1 up after the second session of five frames as Conor Nevin was the sole player from Dublin IT to get a frame on the board from the opening ten frames as IT Carlow held a 9-1 lead. Dublin IT never gave up and grabbed the first two sets of the third session as Adrian Grew defeated Jeff Ratledge and Conor Nevin defeated Morgan Thomas. 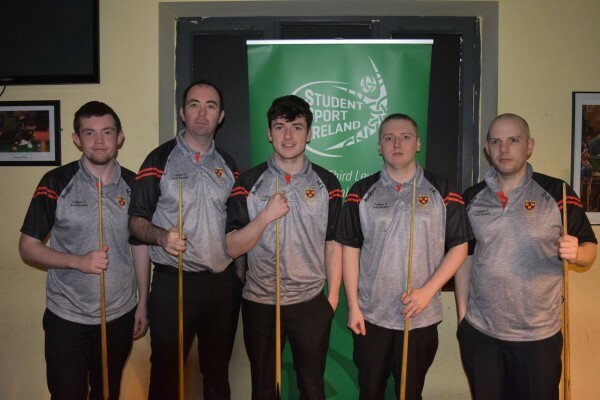 However just as a comeback looked possible David Grace put IT Carlow on a ten-frame total and the victory was sealed as Wayne Brennan defeated Liam Donnegan to give IT Carlow a 11-3 victory. IT Carlow – Martin Dunne, Wayne Brennan, Jeff Ratledge, Morgan Thomas, David Grace. Dublin IT – Adrian Grew, Conor Nevin, Daniel Pender, Mark McGuinness, Liam Donegan.